Unique on the global market: PoolParty provides tools for a corpus-based taxonomy management! Build taxonomies from scratch: PoolParty’s corpus analysis provides you with relevant term and relations suggestions. Extend your taxonomy: PoolParty identifies gaps in your taxonomy automatically. Increase quality: PoolParty helps you to create taxonomies that reflect your actual content base. Increased precision: extracted terms are precisely scored based on a statistical language model. 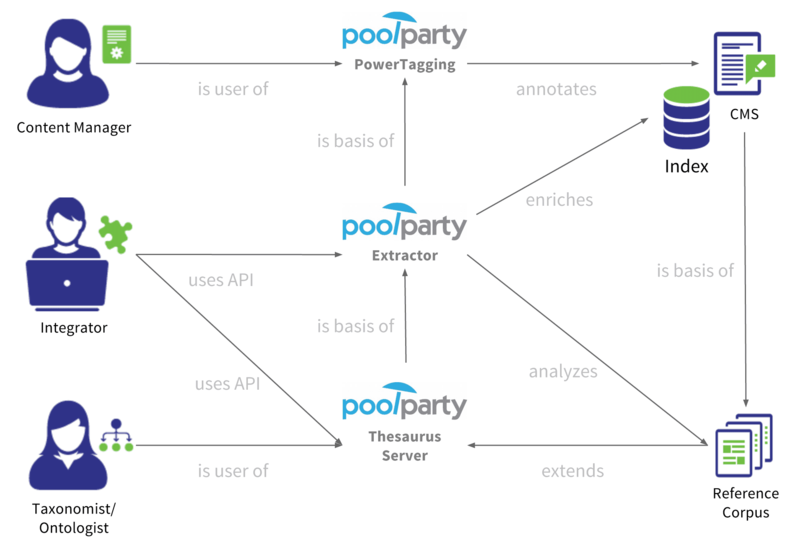 Integrate with your CMS or DMS: push documents from your content base directly into PoolParty’s corpus analysis. RDF based corpus analysis: benefit from SPARQL and its capabilities to do deep text analytics. Co-occurrences: statistical language models provide means for latent semantic indexing. Instant testing: PoolParty’s built-in graph search helps to search over corpus documents. 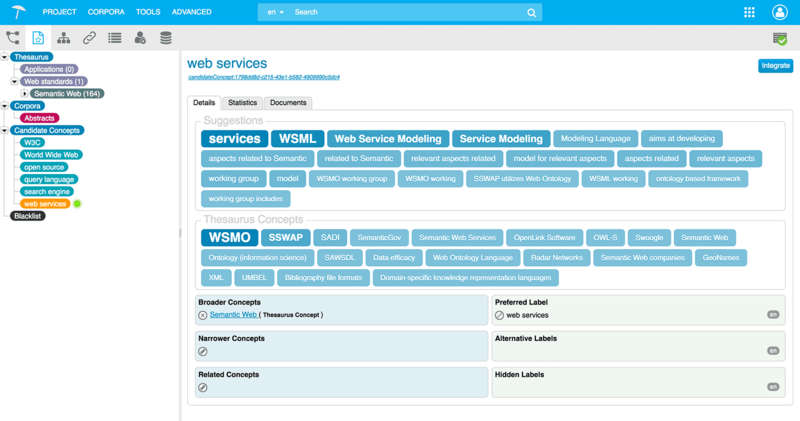 You want to learn more about PoolParty’s corpus management?